Design, on the other hand, is about use. The designer needs someone touse (not only appreciate) what they create. Design doesn’t serve its purpose without people to use it. Design helps solve human problems. The highest accolade we can bestow on a design is not that it is beautiful, as we do in Art, but that it is well-used. I come from a carpenter dynasty, six, seven generations old. My father was a carpenter today. For me it was logical that I'm also learning a carpenter after secondary school. I have also worked for a few years as a carpenter and made perfect. 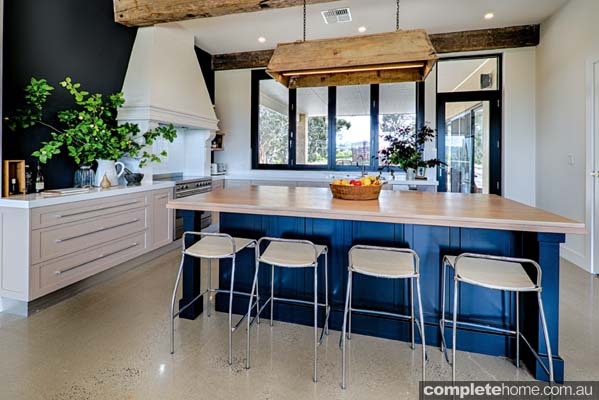 This designer kitchen impressively shows how successfully a kitchen living environment can be distinctively styled. It is based on a massive steel girder. 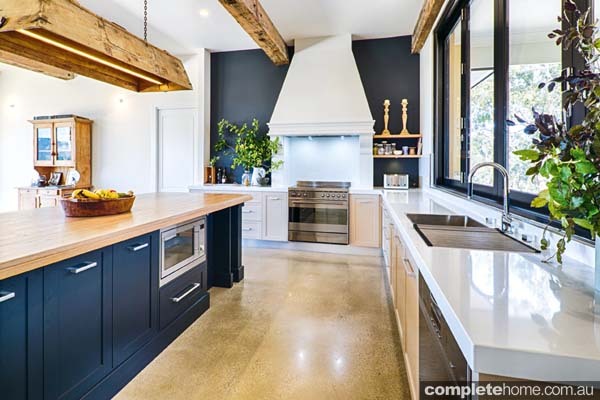 With its electronically-controlled “Touch & Drive” extensions made of brushed stainless steel, plus two BORA Professional cooktops and an integrated vapor extractor, this kitchen offers far more than just striking looks. 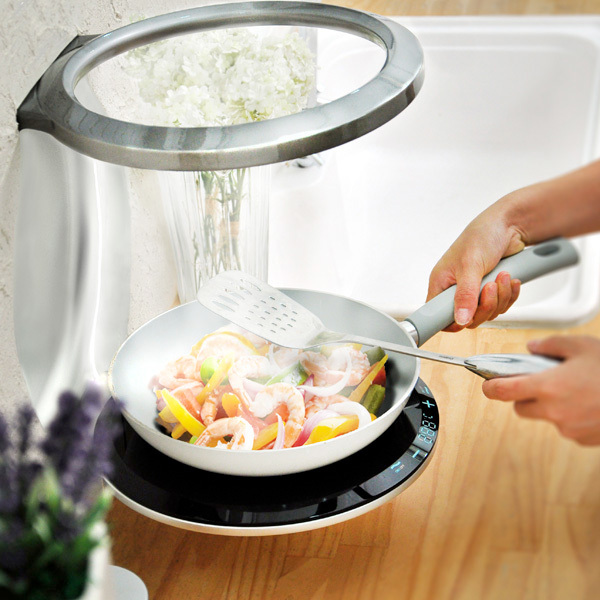 The combination of unique design and top-quality functionality provides a continual source of inspiration for new cooking adventures. This designer kitchen forms a single harmonious space with the adjoining room, showcasing a concept that goes far beyond the norm. Beautifully coordinated, the entire area gives the impression of having been carved from a single piece of material. The stainless steel cooking islands, featuring solid oak front panels, blend in attractively with the floor and the oak alcove, which creates the perfect frame for the tall white cupboards. It's a living room, dining room and kitchen all in one – and all exuding an atmosphere of warmth and comfort. In fact, calling it simply a kitchen hardly does it justice. Started up as a handicraft laboratory in 1939, in the sixties Salvarani launched the product which was to give its brand an international fame: the modular kitchen. From 1959 onwards, Salvarani’s production range started to include kitchen with a plastic covering that could be bent thanks to an exclusive process. In few years Salvarani became the absolute leader on the marker, exporting a large part of its products. The company definitely established its international reputation with the display of the “Long Line” kitchen at the Museum of Modern Art in New York. n the early seventies Salvarani developed a totally new material that the company has been producing with exclusive licence ever since: the Firon worktop. Each Salvarani kitchen is based on this indestructible surface, produced as a single block up to 6 m long. Since 1996 Salvarani has been part of the FEG Group, active on the Italian furniture marker for over fifty years. Today Salvarani takes up a covered surface of 20.000 square metres in the Giussano plant and can rely on the productive synergy of two large companies: Salvarani’s technology in the production of laminate and Feg’s experience in the processing of wood. During the 2014, TERRAGNI FABBRICAMOBILI announces the takeover of the company. 7 Reasons to Get Back into the Kitchen and Cook! Just like me, you have been hibernating all this winter long, dreading to do the dishes and at the most making some hot cocoa. Well, time to pull up the socks and greet Spring, and bring home the freshness from the woods. Jamie Oliver, Gordon Ramsey and Nigella … move aside, because I give my folks these inspiring implements that can make your innovative recipes a charm! Let’s get back into the kitchen folks! 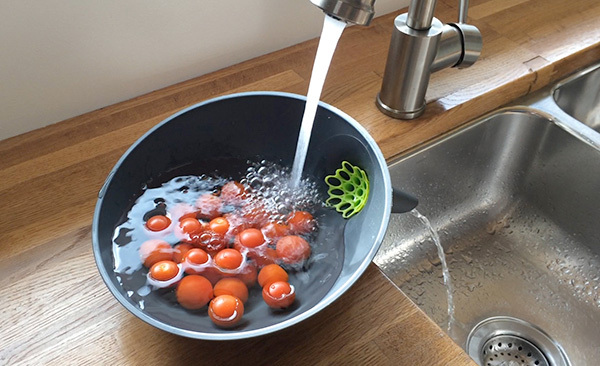 The first step to cooking is the cleaning; the Anton Strainer Bowl fits in here. It keeps the contents submerged in running water for a while and helps clean away the pesticide. On the flip side, I think it works swell as a pasta strainer; definitely making life a lot easier! The Curling Pan is for all my lazy friends who hate doing the dishes, this chopping board doubles up as a frying pan! What this means is one less dish to clean … Super! One of the basic and most important tools of the kitchen is the knife. Not many go splurging on it, but trust me a good, sharp knife helps get your work done faster and more efficiently than blunt one. 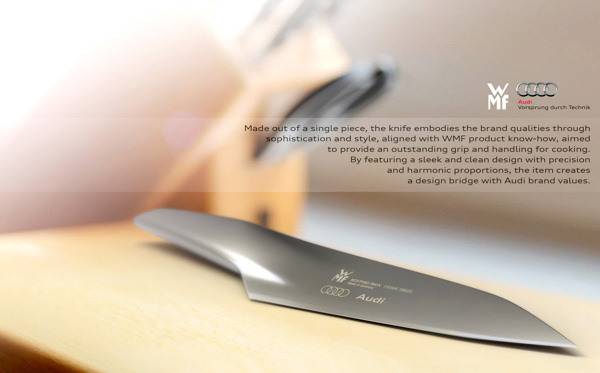 The WMF Kitchen Knife Concept is crafted from a single piece of metal and promises to cut well. I still remember my baking class teacher drilling into our head the importance of measuring the ingredients right. Apparently, a simple mistake can cost you a soft, fluffy cake. 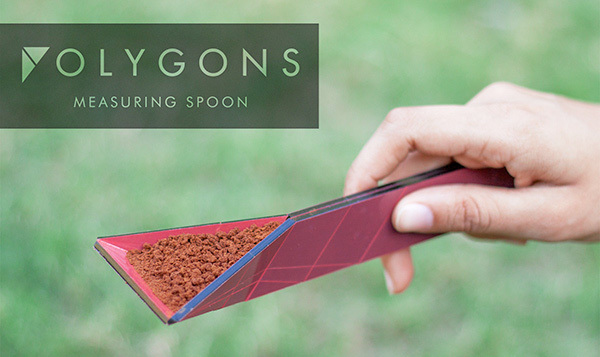 The Polygons Measuring Spoon is innovative and eliminates the need for multiple measuring units, thus saving space and time. Its super easy to use and very handy. One of the most challenging tasks while baking is to separate the eggs. 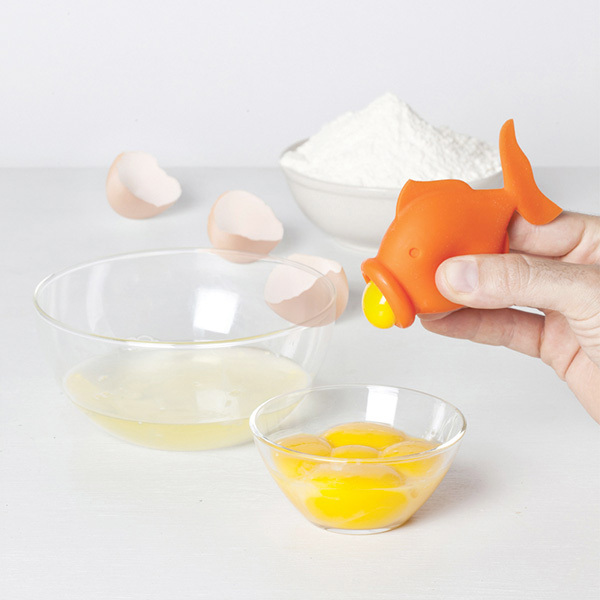 The YolkFish is by far, the most fun and functional way to separate your yolks and egg whites. One big gulp by the fish and you are set! 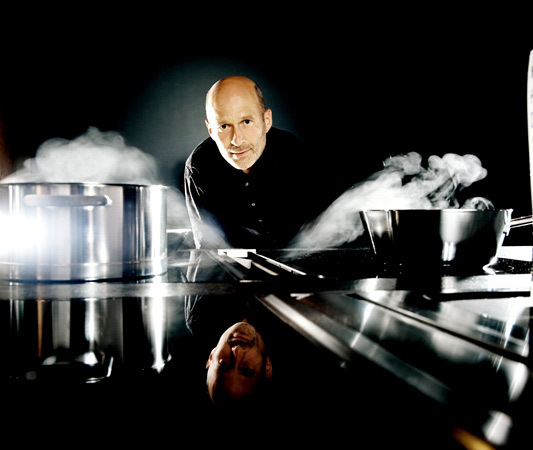 If you are a singleton, then nothing more important than a minimal cook-top, the lesser to work with, the lesser area to clean! The S.I.A.M. fits perfectly into the kitchen and features a built-in hood and induction cooker. Washed cutlery needs a place to go into, and trust me wiping them dry is a PAIN! The Jumbo is perhaps the cutest way to dry them! 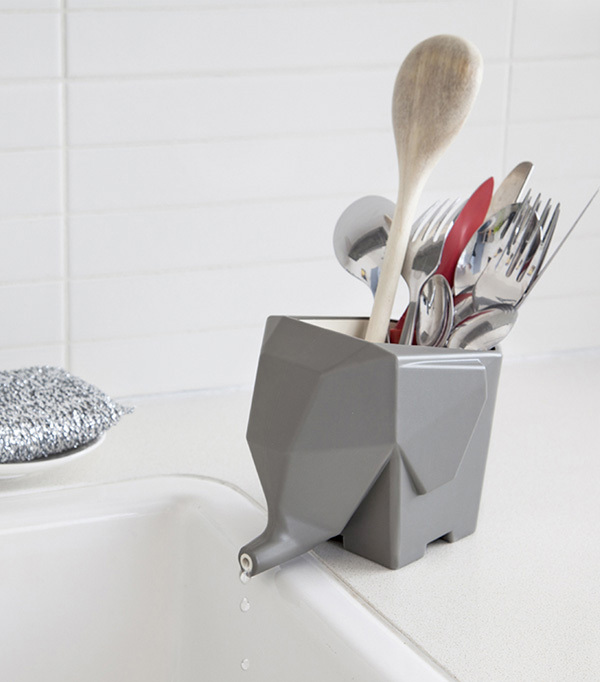 This sink-side elephant takes the irritation out of waiting for wet dishes to dry and collects the runoff water while redirecting it back into the sink. 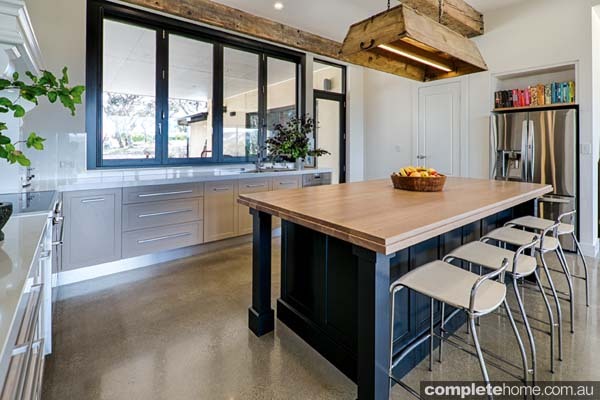 “The client wanted a kitchen that was sleek and modern, yet warm and inviting at the same time. 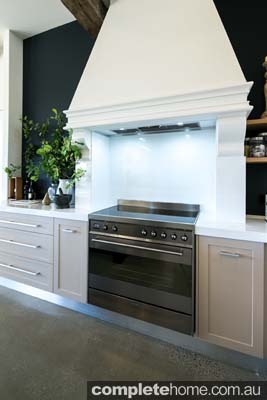 A perfect example of this strategy is the treatment of the rangehood, where a state-of-the-art ventilation system is cloaked within a distinctly classical case, featuring long elegant lines, finished with mouldings at the base for added detail and architectural interest. The fixture is given pride of place as a dazzling white focal point against the rich dark-blue walls either side. 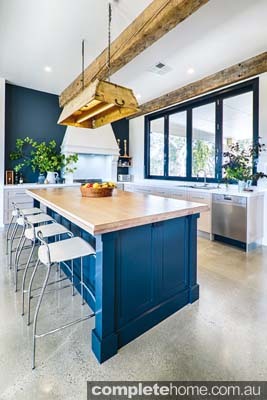 The cabinets and panels, though made of modern materials, are also given the same treatment by incorporating an American Shaker-style finish — simple yet effective in conveying a certain old-world charm. 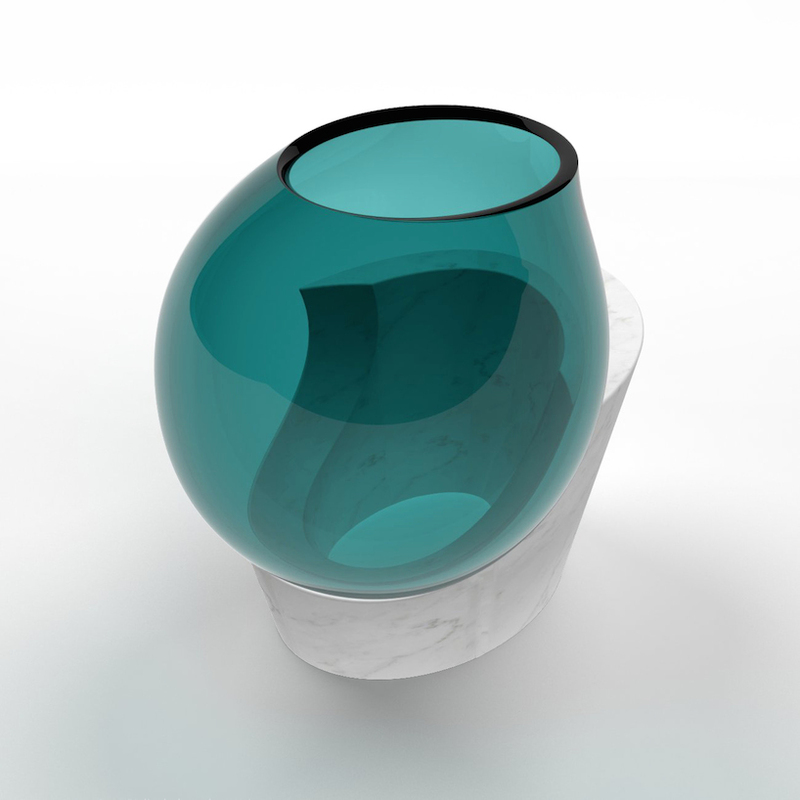 after more than 20 years experience in glass-blowing, italian designer emmanuel babled, realizes the ‘osmosi’ collection. 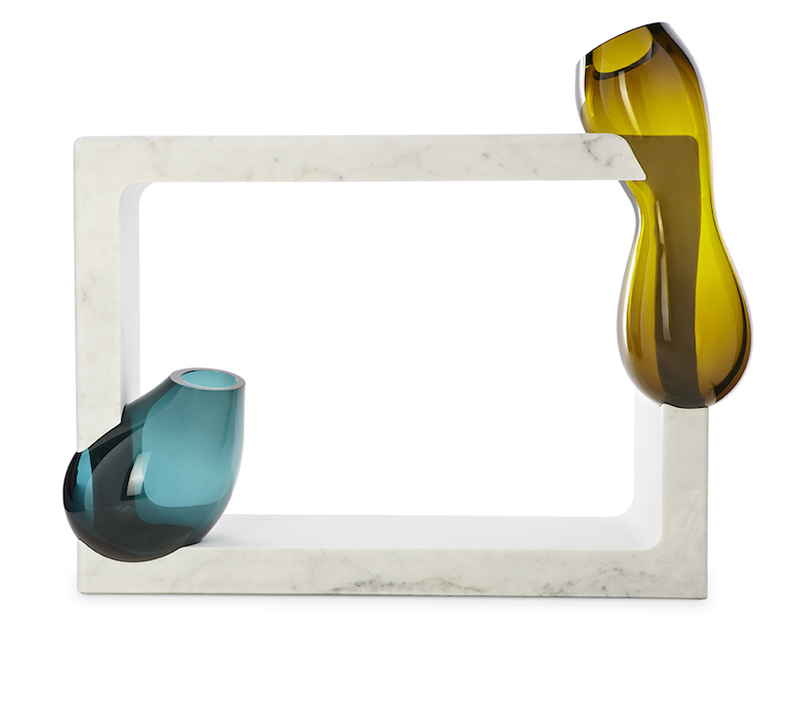 the limited-edition line of furniture and vases connect noble materials from two regions of italy: glass produced by the venini in murano, and carrara marble by testi fratelli in verona. 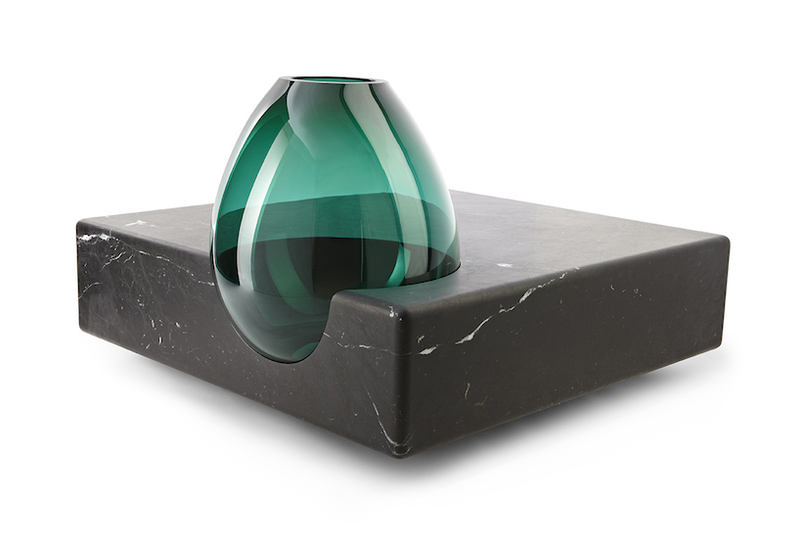 the artisanal products combine new technologies with traditional craftsmanship in a virtual fusion between marble and hand-blown glass thanks to surgically precise digital technology. 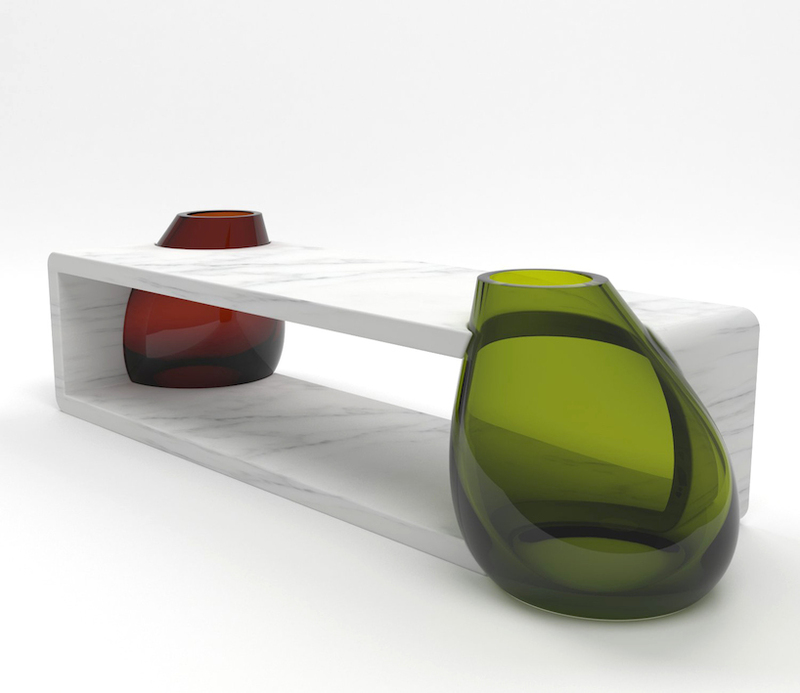 when a piece of glass is finished by craftsmen, a 3D scan transfers data to a CNC router, which cuts the marble. 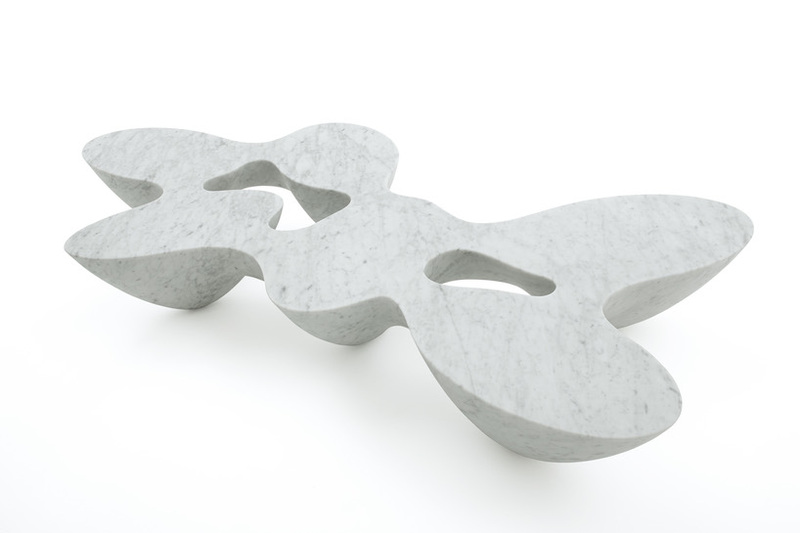 the two pieces match virtually perfectly, resulting in a symbiotic relationship between the materials. although in reality the two mediums remain separate, one is nothing without the other. the factor of natural unpredictability in glass makes each piece unique. 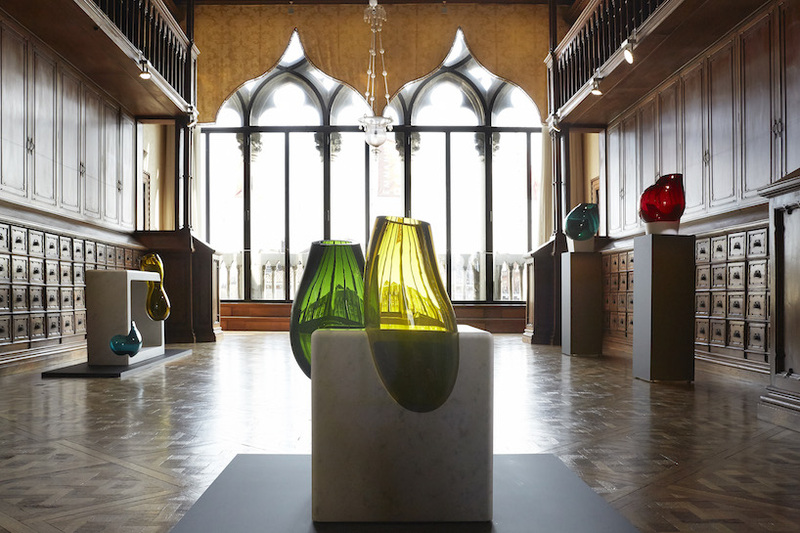 after visiting venice, milan, and dubai the ‘osmosi’ collection travels to france. the pieces will be displayed among other products by babled including quark tables, digit lights, and possibly the etna line of tables, which are still in production. 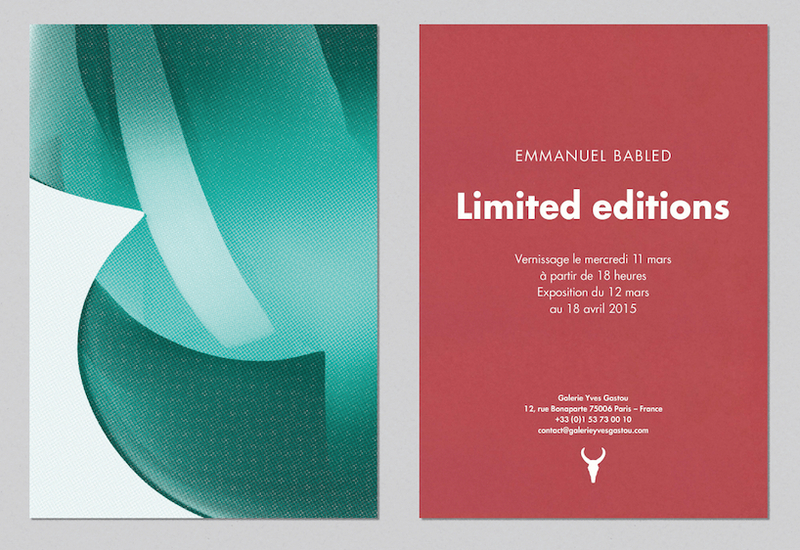 the exhibition takes place at galerie yves gastou in paris, france march 12th to april 18th 2015.